NOW REDUCED BY OVER $20,000!!!" "HANDYMAN SPECIAL" Opportunity awaits to live in the Stonegate Community! 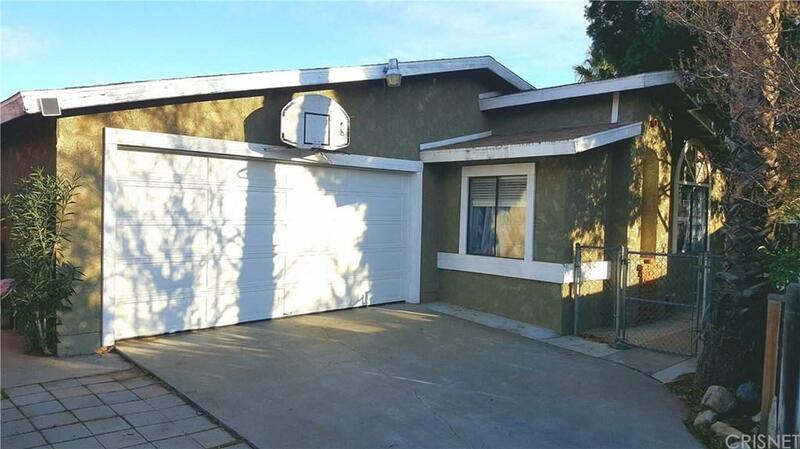 This Mountain views Castaic (Lake Hughes area) charming home offers 3 bedrooms and 2 bathrooms plus a sunroom. The open floor plan offers 1536 square feet of spacious living area. Home is on a unique Flag lot that sits back from the street with a long driveway for plenty of parking and privacy. Home sits on a large lot size (which is rare in the community) of over 7800 square feet and is perfect for gatherings and entertainment! Features include high ceilings, master bedroom with large tub, 2 car attached garage, laundry area, central air and heat, fireplace in the living room! Centrally located near freeway access, dining and walking distance from Castaic lake! FIX and SAVE! Low H.O.A fees! Association amenities include Pool, gym and clubhouse! Call today!